The Silver 300 may look like its predecessor, but this latest version has been completely redesigned with new drivers, crossovers, and enclosure. A three-way, four-driver speaker (dual 6" woofers, 4" midrange, 1" tweeter) housed in a cabinet that looks far too nice for this price point, the Silver 300 offers a compelling array of musical virtues. Chief among these are its terrific speed on transients, effortless reproduction of dynamics, and overall sense of musical coherence. Bass is detailed and resolved, providing a clear sense of pitch. These qualities infuse music with a life and vitality that are particularly apparent on rock, pop, and jazz. 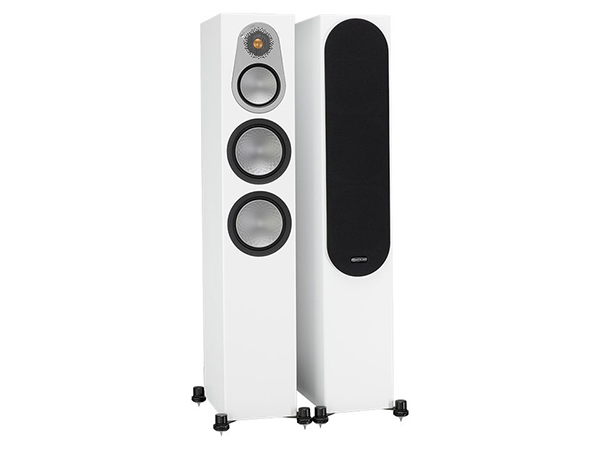 This is one very well designed loudspeaker, built with an economy of scale that allows this level of performance to be offered at a reasonable price. 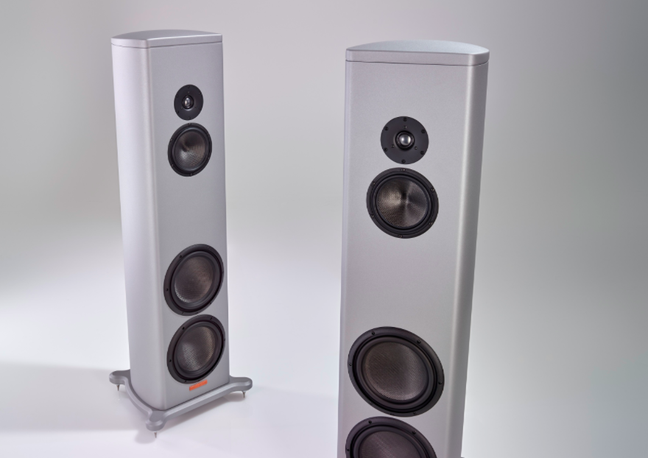 For its combination of sound quality and value, the Monitor Audio Silver 300 is our first choice for Floorstanding Speaker of the Year. 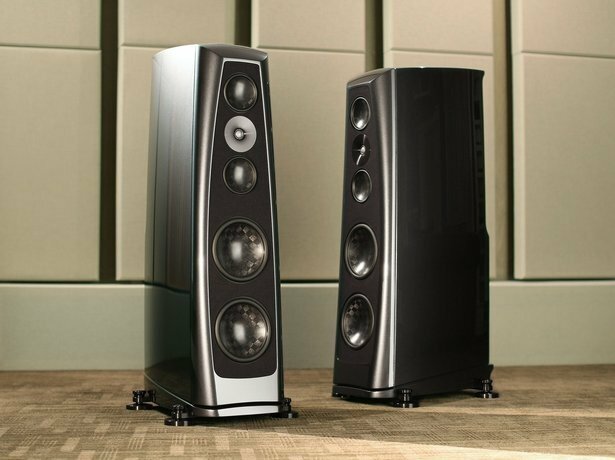 Despite being Magico’s smallest floorstander, the two-way S1 Mk II still sports all the key features seen in the larger models of the California company’s S Series—an extruded aluminum enclosure, a diamond-coated beryllium tweeter, a nanographene mid/bass cone driver. So it’s no surprise that the sonic character (or lack thereof) of the new S1 is highly reminiscent of the S3 Mk II and S5 Mk II, as well, to a significant degree, as that of Magico’s exalted Q Series products. The continuity between the two drivers is exceptional—as good as you’ll hear in a dynamic loudspeaker design—resulting in excellent imaging and realistic instrumental/vocal reproduction; in addition, bass is well defined and impactful. As wonderful as the S1 is (and it was wonderful enough to be purchased by our reviewer, Andy Quint), a strong case can be made for its cousin, the new S3 Mk II, occupying the “sweet spot” of the company’s entire line—that is, it is a notable value-for-dollar product. The three-way S3 Mk II incorporates Magico’s latest driver technologies in the 1" diamond-coated beryllium dome tweeter, the 6" nanographene midrange, and a pair of 9" nanographene woofers. The four drivers function with the unified voice of a good electrostatic but with the gutsy resoluteness associated with the best dynamic drivers. The S3 Mk II is detailed and accurate without seeming “analytical” and definitely maintains its composure with large-scale musical material of all sorts. 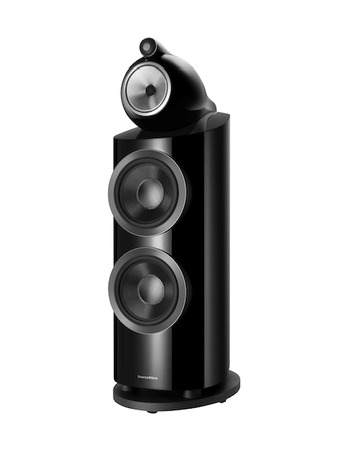 As reviewer AQ also purchased the S3’s for his surround-sound system, we couldn’t pick between these two marvelous Magicos—hence the joint TAS 2017 Loudspeakers of the Year Awards. Although positioned just below the $225k Arrakis in the Rockport line, the Lyra sets a new standard in innovative construction as well as in sound quality. The Lyra is a three-and-a-half-way, five-driver design with a rear-firing port. Two 6" midrange drivers flank the 1" waveguide-loaded tweeter, with two 10" woofers on the bottom. The enclosure is made from two massive shells of cast aluminum, with the cavity between them filled with a proprietary, high-density urethane core material. Musically, the Lyra delivers a horn-like visceral immediacy with its absolutely stunning dynamic performance. The musical effect cannot be overstated; the Lyra sounds “alive” in a way that many other speakers do not. Yet for all its verve and panache, this is a speaker of great delicacy, capable of conveying the subtlest nuance of texture and shading. It’s also the most beautiful in timbre that RH has heard, combining high resolution with lush textural liquidity. The icing on the cake is the Lyra’s small size (for a world-class reference, which it certainly is), which allows it to fit in many more rooms than other speakers at this price.